Starting with howtosmile is as easy as 1...2...3. Use this link to create a howtosmile user account. With an account you can create private and public lists of resources for yourself or to share with others, and leave comments on blog stories. While we think accounts on howtosmile are cool, anyone can search the collection without an account. Type a search term: in the home page search bar and explore the results. 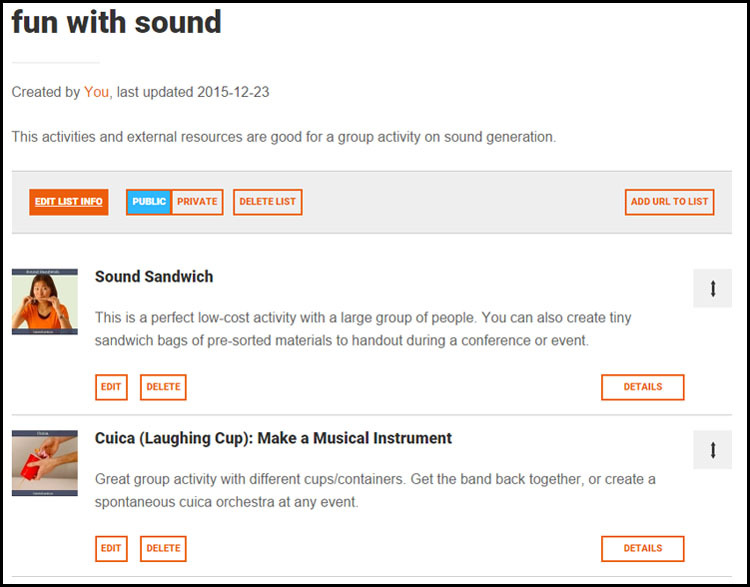 We like to use the term “sound” for an introduction to searching howtosmile. 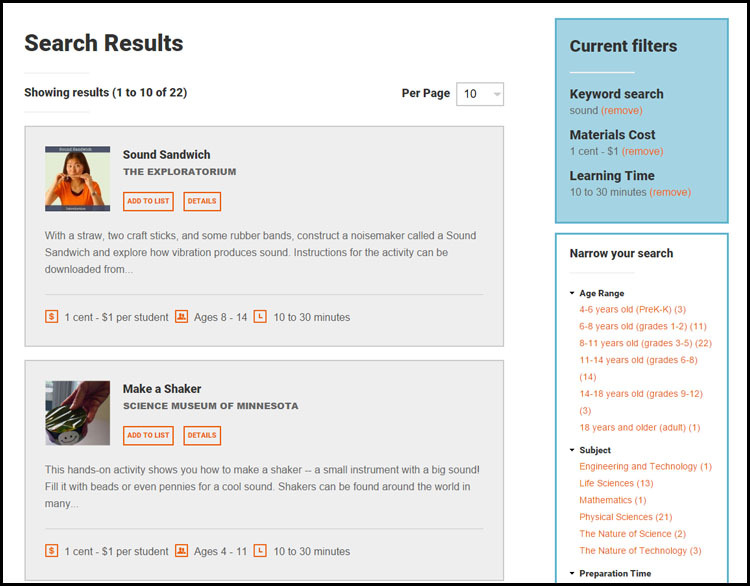 Filter your search: Look to the right of the search results and check off what you want to filter your search. Perhaps you’re searching for activities that can be done in under ten minutes; look under Learning Time and click the “5 to 10 minutes” option. howtosmile can make your life as an educator easier! Once you’ve found a resource you like in a search, you can add it to a list. You’ll see the “Add to List” link within each record teaser. Here’s where you can create a new list or add to an existing one. Now that you are an expert on lists check out a bunch of examples created by your fellow howtosmile users at this link. Any questions just email us at questions@howtosmile.org.